A woman has been charged with speeding her car right through a road cleanup crew. In the accident, one worker was killed and another was injured badly enough that he had to have his leg amputated. According to the Boston Globe, the woman is now on trial. She’s being charged with motor vehicle homicide by negligent operation. According to prosecutors, the 36-year-old driver was experiencing a seizure while driving along Route 3 in Chelmsford back in December of 2009. Allegedly, she drove right through a blocked-off breakdown lane where a cleanup crew was taking care of a spill of diesel fuel from earlier in the day. One of the workers was hit and another was pinned to another vehicle and ended up dying. Prosecutors are saying that she was driving even though she was aware of her medical conditions and was aware that it led to seizures. Our Boston car accident lawyers understand that, for most people, driving represents a sense of freedom, competence and control. Driving helps us to get from where we are to places we need to be. It’s a complex skill that some don’t have the ability to perform safely. 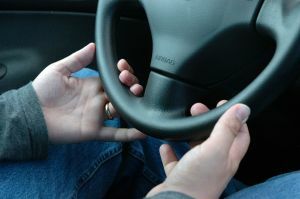 Those who have had one or multiple seizures may no longer be able to drive safely. What happens when you have a seizure is you lose all control of your body. The way you act changes. The way you sense things changes. Some even pass out immediately. If a driver has a seizure behind the wheel, they can easily lose control of the vehicle and crash, causing serious injury to themselves or to other innocent motorists. Still, drivers continue to get behind the wheel, disregarding state laws and disregarding road safety. -The cause of the seizure. -The kind of seizure a person usually has. -The related laws in the state in which the driver is licensed. -How long the seizures have been going on and how they affect your awareness. Have you had a seizure? You’ll want to talk to your doctor right away! Talk with your healthcare provider about specific medicines that can help to prevent these episodes and ask about how these medicines could possibly affect your driving abilities. It’s important that you take the responsibility for your condition and make the right decisions, whether that includes driving or hanging up the keys. In the state of Massachusetts, laws says that “an individual with epilepsy will be considered eligible for a driver’s license if he or she has been seizure free for 6 months and submits a detailed physician’s report and recommendation that he or she is able to drive safely,” according to the Epilepsy Foundation. If you or someone you love has been injured or killed in a car accident, contact the Law Offices of Jeffrey S. Glassman for a free and confidential consultation to discuss your case. Call 1-877-617-5333 today!